Microsoft starts rolling out Windows 10 Mobile to Windows Phone 8.1 phones. 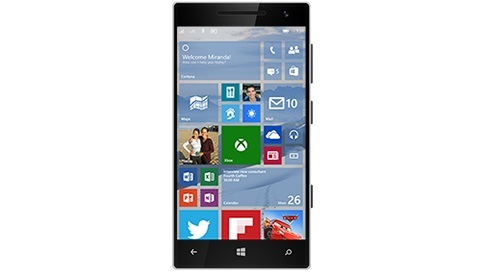 Microsoft today begin the roll-out of Windows 10 Mobile to select Windows Phone 8.1 devices. The Windows 10 Upgrade Advisor app can be downloaded from the Windows Store to see if the upgrade is available for your device. Windows 10 Mobile is being made available to supported smartphones running Windows Phone 8.1. You can see the current list of Windows Phone 8.1 devices that are supported for the upgrade to Windows 10 Mobile below. This list includes a limited set of Windows Phone 8.1 devices and does not include some devices that are currently running Windows 10 Mobile in the Windows 10 Mobile Insider program. Lumia 1520, 930, 640, 640XL, 730, 735, 830, 532, 535, 540, 635 1GB, 636 1GB, 638 1GB, 430, 435, BLU Win HD w510u, BLU Win HD LTE x150q and MCJ Madosma Q501.